Q. We are going to install filtration/agitation pumps and recirculation pipes to decrease our soak times in a tank by getting more agitation. Can we use CPVC in the Citranox solution, or would polypro be required? 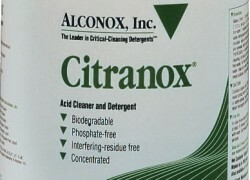 A. Citranox concentrate and dilute solutions can be used in CPVC piping. Citranox is compatible with CPVC. Be sure to locate the inlet and return pipes well below the surface of the tank so as to minimize agitation at the tank surface so you do not build up foam. 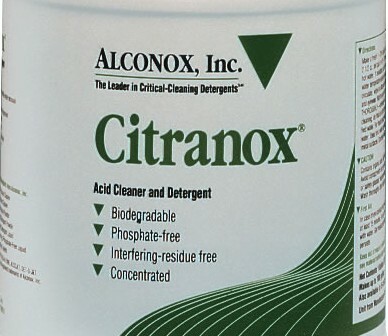 Need more information about Citranox? Downloadable certificates of analysis, technical bulletins, MSDS, trace analysis, and inhibitory residue testing are available from the Alconox website at www.alconox.com.